The mission of the Polinsky Children's Center Auxiliary is to support a safe, nurturing, loving environment that addresses the educational, emotional, physical and social needs of all children who receive or have received services through the Polinsky Children's Center. Children will enter society empowered with life skills to grow and thrive as productive members of their community. Polinsky Children's Center Auxiliary is a 501(c)(3) non profit organization. Join our mission to help children in need. The Polinsky Children's Center Auxiliary is grateful and honored to be the 2014 Honoree of the Gold Digger's Hat's Off Luncheon, "There's No Place Like Home". Yes, there's no place like home. The $5,000 gift will be used to enhance the lives of our Foster Youth in their temporary home at the Polinsky Children's Center. We will now be able to add murals to our Intake and Interview rooms, the first areas the youth experience at PCC, as well as three murals in our Medical Unit. Thanks to the generosity of the Gold Diggers, our Polinsky Kids will see that people in the community do care about them and are making a positive impact on their lives. Our Polinsky Children's Center Auxiliary is most thankful. ABOUT THE POLINSKY CHILDREN'S CENTER: The A.B and Jessie Polinsky Children's Center is a 24-hour facility for the temporary emergency shelter of children who have been placed in protective custody for their own safety due to abuse or neglect or their parents' inability to provide for them. Each month, more than 300 children ages birth to 18 years old are admitted to the Polinsky Children's Center. The Center is located at 9400 Ruffin Court, San Diego CA 92123. ABOUT US: The Polinsky Children's Center Auxiliary was born as an auxiliary of the Child Abuse Prevention Foundation in 2004, by co-founders Pamela Hunt, Nancie Geller and Jennifer Handler. 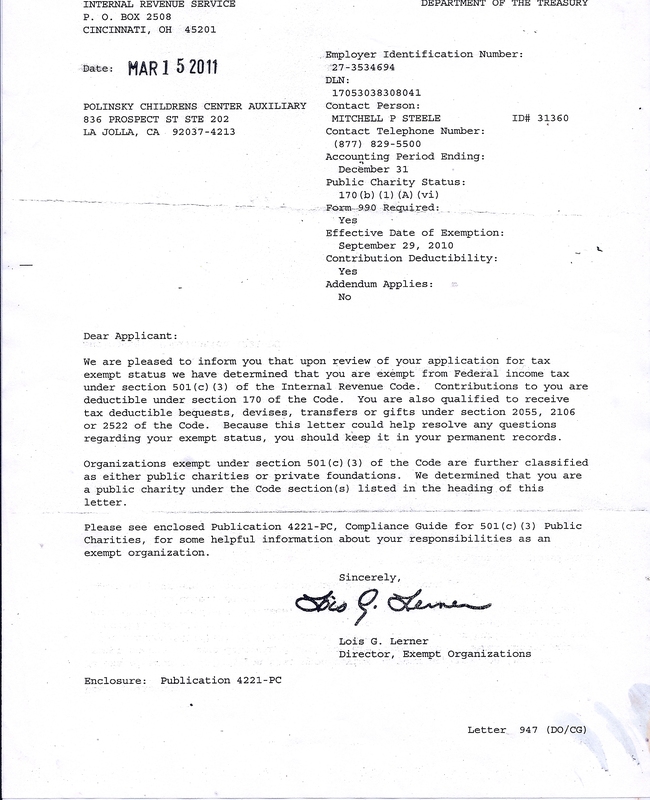 In 2010, the Polinsky Children's Center Auxiliary obtained 501(c)(3) status and became an independent California non profit organization, Federal Tax ID No. 27-3534694. WHAT WE DO: See the numerous programs, projects and activities here. The Auxiliary has brought an immense amount of joy and hope to the children of the Polinsky Children's Center. 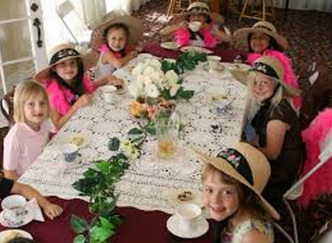 We invite you to make a difference in the lives of these kids and become a member of the Auxiliary. Please contact us or join!